When winter officially sets in and the sun goes down before 5pm, it can be a hard sell to change out of your sweatpants and stop watching Friends reruns with your cat. But you can still enjoy the great outdoors in Baltimore despite the low temps — you just gotta know where the ski slopes are. Luckily, we’ve lined up the best ski slopes surrounding our city to get you up and at it during the colder months. Time to trade your sweats for snow pants and get skiin’. If you’re looking to hit the slopes close to home, Liberty Mountain Resort is a good option for a solid day of shredding powder. It’s less than 90 minutes away and you can catch their Saturday ski bus at Penn Station right to the mountain! 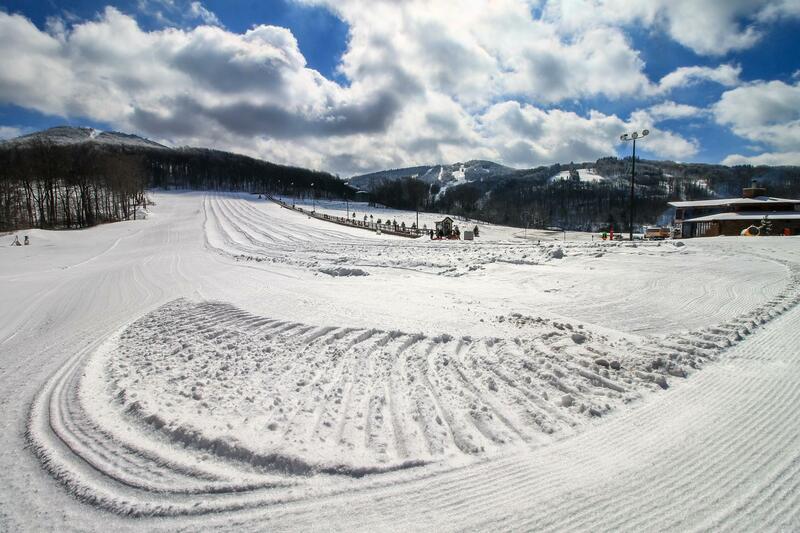 Liberty’s complete with 16 trails, three terrain parks, and snow-making capabilities. With an elevation of 1,190 feet, it’s no monster, but there are trails for every level of skier. They even offer special package deals for first-time skiers and snowboarders that includes a lift ticket, lesson, and equipment rental. 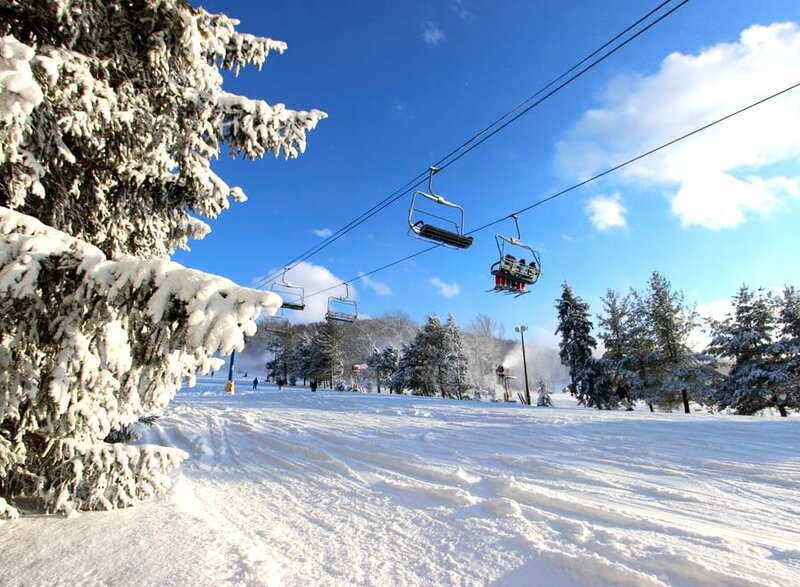 Ah, Deep Creek Lake — one of our favorite weekend getaways for year-round good times, including skiing. If you’re willing to drive three and a half hours, Deep Creek Lake’s Wisp Resort boasts mountains with elevation at a whopping 3,115 feet — much higher than some of the closer options, so it’s well worth the trip. Plus, Wisp’s 11 lifts take you to 34 trails and four freestyle parks. While you’re not shredding, there’s even tours via snowmobile and zip line. Make a mini-vacation out of it by staying a few days and renting one of their “cabins”, aka bougie winter mansions. 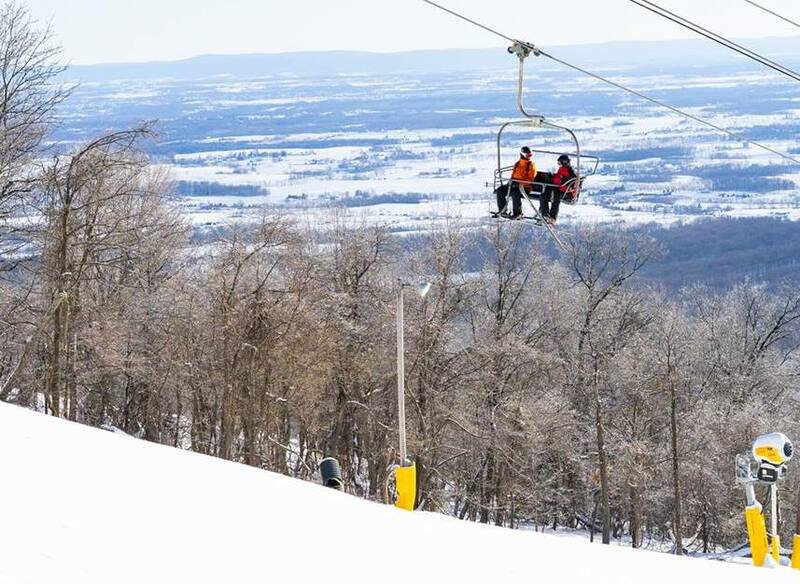 Whitetail Mountain is just two hours from the city, and it’s the perfect place for our both newbie and seasoned skiers. Their trail system was specifically designed to separate skiers and boarders by skill level, with lifts designated by difficulty. That means you can stick to your green circles (easy) and blue squares (intermediate), without having to risk ending up at the top of the mountain staring down a double black diamond (expert only). 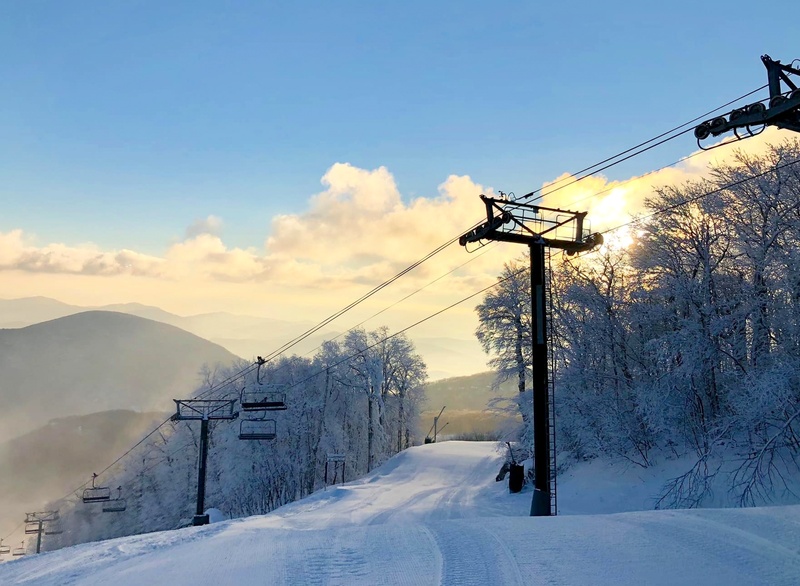 And with a top elevation of 1,800 feet, a 935-foot vertical drop, 23 trails, and two terrain parks, you’ll have plenty of opportunities to break in those skis for the season. While fake snow is convenient for the ski slopes, we all know it doesn’t quite compare to fresh powder. West Virginia is a hike from Baltimore, but at an average of 180 inches of snow in Canaan Valley each year this is one of the best places to get your ski fix. Book a log cabin and spend a weekend conquering all 42 different trails on the 4,280-foot mountain. Just make sure you grab an aux cord for that four-hour drive. 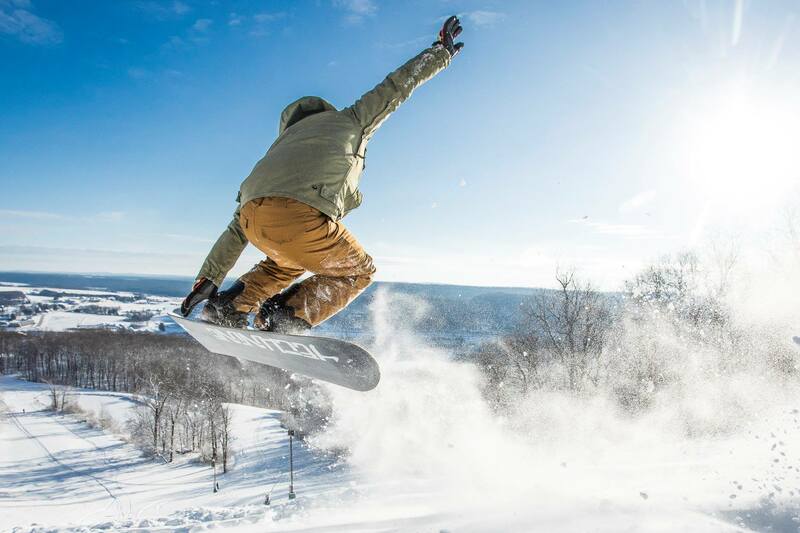 Another great choice for skiers and boarders of every level, Roundtop in Lewisberry, PA features 16 trails and a terrain park with a super pipe and half-pipe just waiting for you to crush. Not only that, this resort has some of the steepest terrain in the state with an elevation of 1,400 feet and a vertical drop of 600 feet. At about 90 minutes away, this ski spot is great day trip material. Looking for a little luxury in this year’s ski trip? 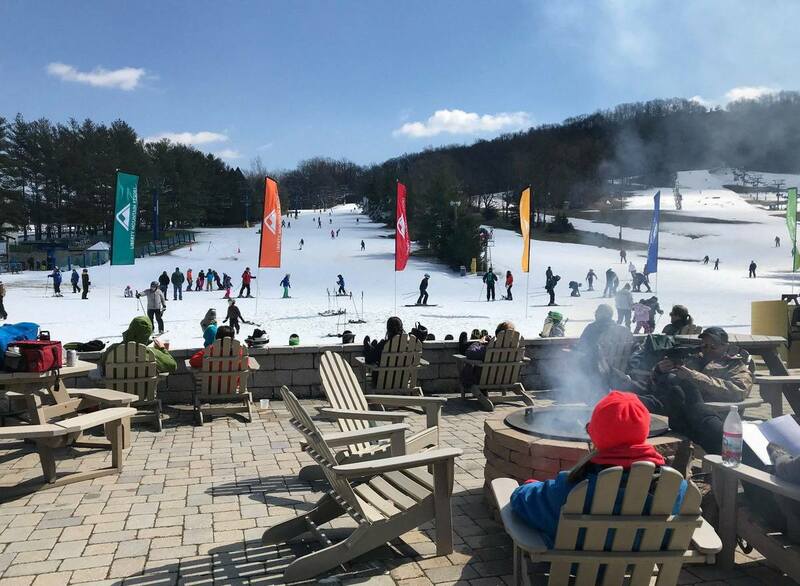 Seven Springs Mountain Resort has everything you need to kick back and relax after a day on the slopes — an entertainment center, indoor bowling alley, roller skating rink, and 11 dining options. 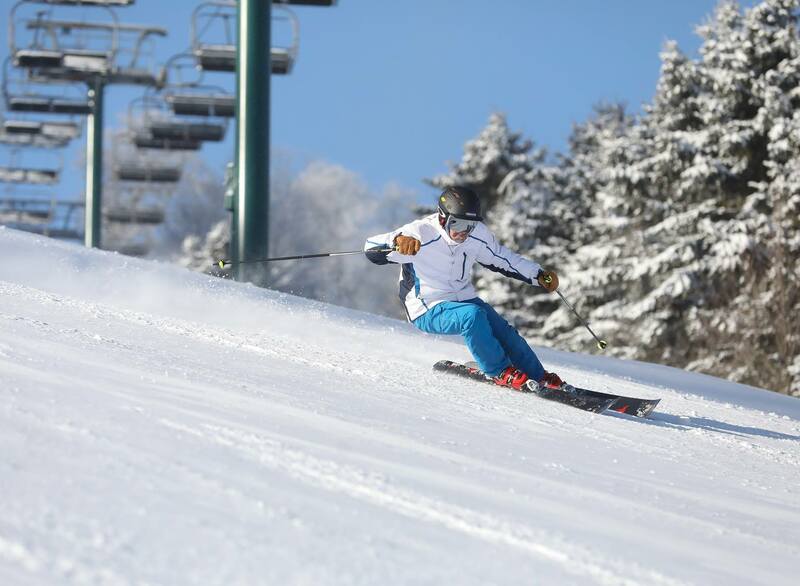 When you do get to skiing, you can take on the mountain’s 33 trails and SEVEN terrain parks that cater to all levels. It’s worth that three-and-half-hour drive up to PA for a legit weekend. 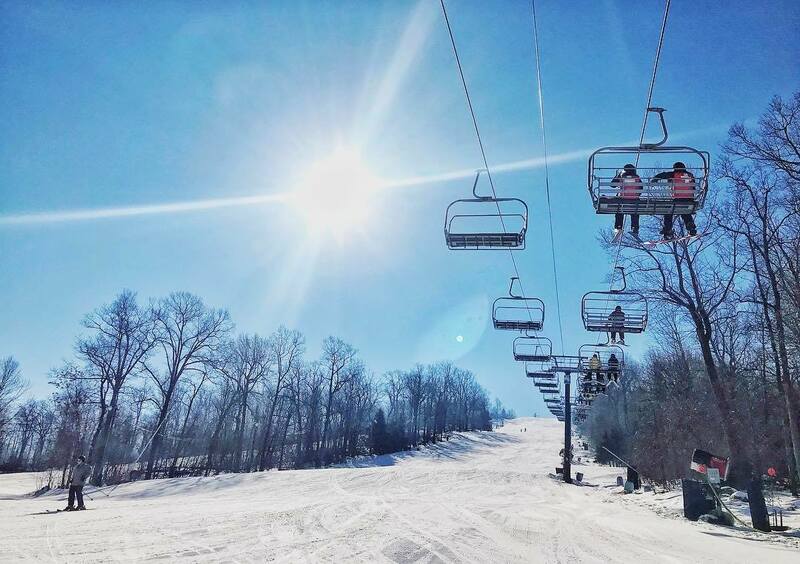 If you’re the type of skier that likes to finish off a day on the slopes with a fancy spa treatment or therapeutic soak in the hot tub, check out Wintergreen Resort this season. With an elevation of 3,515 feet, 26 runs, two snow tubing parks, two terrain parks, and a winter zip line, there’s no shortage of options to get your muscles aching. They even offer Pilates and yoga classes at the resort to really stretch it out. You’ll have venture four hours out of the city down in VA to get to Wintergreen but an adrenaline-pumping adventure awaits. Alright, you got ski legs last year, and this winter you’re ready for a little more challenge. Blue Knob Mountain is your go-to. It’s the highest ski mountain in PA standing at 3,174 feet in elevation. And its 34 trails will seriously wipe you out. Luckily, you can retire in front of the fireplace at one of their furnished condo rentals. We know, sounds like stay here could get a little pricey, but they’ve got deals like a $30 five-hour flex pass Sunday to Friday. Just make sure you plan accordingly, this ski spot is about three hours north into PA.